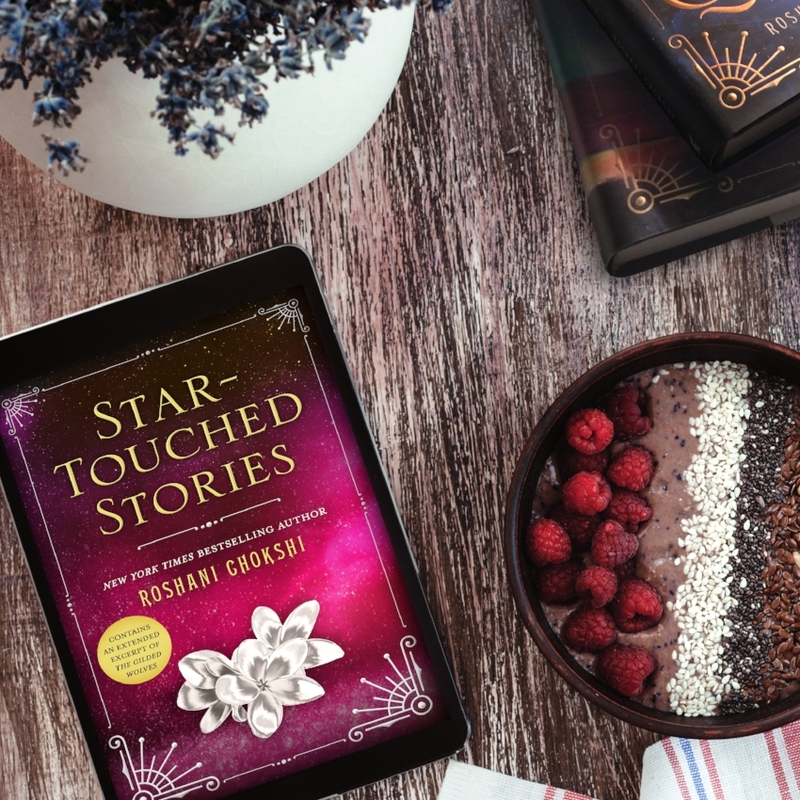 I am so excited to share an excerpt from New York Times bestselling author Roshani Chokshi's latest, Star-Touched Stories. This fantasy collection of three lush and adventurous stories set in the Star-Touched world. The light dangled from the end of the string, clinging and reluctant. A passing wind stirred the ends of the thread, teasing out strands of memory. The memories plumed into the air, releasing the scent of a life lived in love. One by one, the memories unraveled— a pillow shared by two heads bent close in secrecy, a frayed blanket kept inside an eternally empty cradle, a table that sagged from the weight of uncertain feasts. Happiness stolen from the edges of sorrow. The woman looked up ... and saw me. How refreshing. The woman bowed her head. She gathered her husband to her chest. Her wedding bangles clanked together, breaking the silence. When I left, custom dictated that she must remove those wedding ornaments. Widows did not wear such bracelets. I had not considered until now that the sound itself was a thing near death. And that chime—gold against gold—struck me far louder than any keening. In the echoes, I heard something hollow. And lonely. You never forget what it’s like to withdraw a soul. It is an un- clasping. Sometimes a soul is tough and hard, surrounded by sinews of memories gone brittle with age. Sometimes a soul is soft and bursting like wind-fallen fruit, all bruised tenderness and stale hope. And sometimes a soul is an ethereal shard of light. As if the force of its life is a scorching thing. 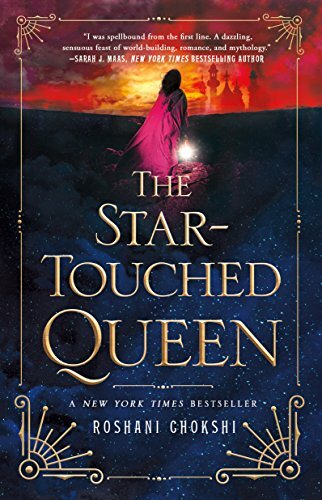 Also, check out my Book Review for THE STAR-TOUCHED QUEEN and A CROWN A WISHES. 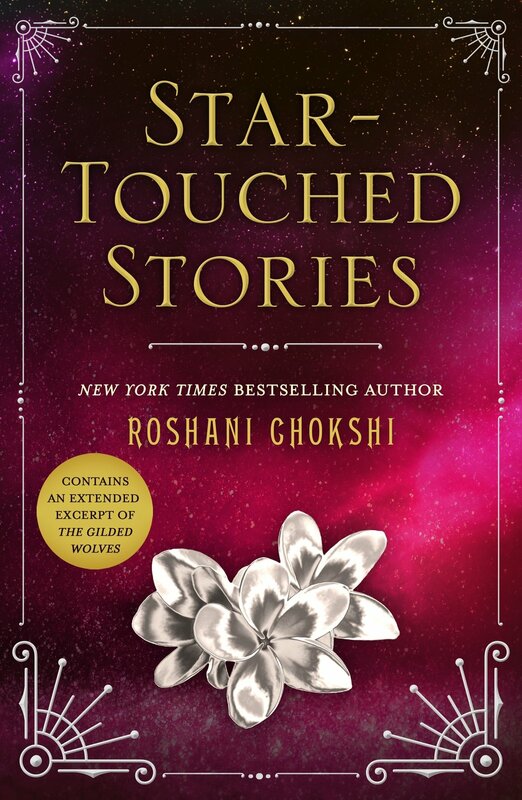 About the Author: Roshani Chokshi is the New York Times bestselling author of The Star-Touched Queen. Her work has appeared in Strange Horizons, Shimmer, and Book Smugglers. Her short story, "The Star Maiden," was longlisted for the British Fantasy Science Award.